Enhance your ATV or UTV off road experience by installing a high quality stereo, audio and speaker system from Aussie Powersports. We are proud to be able to offer the largest selection of aftermarket UTV and ATV accessories in Australia. 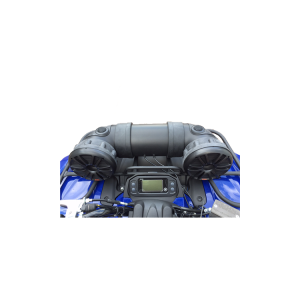 Our superior ATV stereo, speaker and audio systems deliver on sound, style and performance, as we only partner and distribute products from the leading brands or sell our own premium quality accessories, which are manufactured right here in Australia. Based in Queensland, we distribute ATV and UTV products nationally from our 600sqm warehouse in Charters Towers. Our business has been operating for over six years and we've been in the motorcycle industry for more than 40. 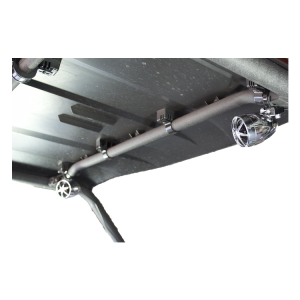 With a vast logistical support network nationally, we will ensure you receive your ATV audio system, ATV speaker system and ATV stereo system quickly and efficiently. We also dispatch orders the same day, Australia-wide. We understand that quality and durability are crucial when sourcing an audio, speaker and stereo system for your ATV or UTV, as you spend so much time off road. If you consider the amount of dust, water and shock your sound equipment will experience during a normal outing while going over rough terrain, then selecting the right equipment, that will stand the test of time, harsh off road conditions and constant impact is essential. This will mean you avoid having to repair or replace your systems regularly. 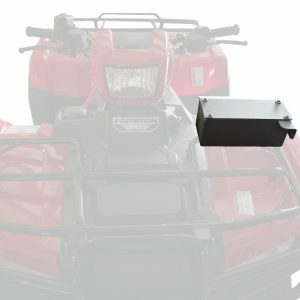 We supply a wide range of ATV audio systems, ATV stereo systems and ATV speaker systems, which are all backed by comprehensive warranties from the manufacturers. Whatever make and model of ATV or UTV you have, we can supply your with the right sound equipment to suit, for a competitive price. Our ATV stereo systems have Bluetooth integration devices, enabling you are able to connect your mobile or any other portable electronic device to listen to music wherever you are. If you'd like further information about our ATV stereo, speaker or audio systems, contact our friendly team at Aussie Powersports today. We are happy to advise you on the right ATV and UTV accessories to suit your needs and budget and offer everything from stereo and audio equipment to winches, parts and tyres. After so many years in the motorcycle industry, you also have peace-of-mind, because we only source equipment that's durable, reliable and offers optimal performance both on and off road.